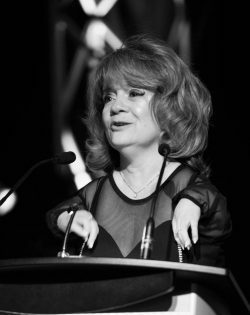 Welcome on the Thalidomide Victims Association of Canada’s website! It gives me great pleasure to welcome you to the Thalidomide Victims Association of Canada (TVAC) website. Whether you are looking for information on the history of the thalidomide tragedy, on how to recognize the congenital malformations caused by the drug, on the use even now of thalidomide and the careful monitoring its use requires, whether you are seeking information on our organization’s programs and services or if you just want to send us a word of support, you have come to the right place! Since our earliest days, our main mission has been to promote the interests of Canadian thalidomide survivors. It was with this goal in mind that we set up an incredible TaskForce in 2013 to lead the “Right the Wrong!” Campaign, which led the Government of Canada, in 2014, to create the Thalidomide Survivors Contribution Program as well as the Extraordinary Medical Assistance Fund. As we are closely watching the administration of these programs, our current interventions focus on ensuring that they are responding as effectively as possible to the needs of Canadian thalidomide survivors. Support for our members of course remains at the heart of our activities. It is with this in mind that we have just launched our new website, which is more attractive, user-friendly and packed with resources for our members and the general public. We also strive to create opportunities for our members to meet, share and help each other, united by life experiences unique to thalidomide survivors. This is achieved through the organization of regional and national conferences and workshops on topics of interest. We also offer, on a regular basis, a referral service and empathic listening to members who feel the need to talk to us. Finally, in the months and years to come, we will devote more resources to education and public awareness. In particular, through conferences, we want to meet professionals and students in the medical, pharmaceutical, legal, political and media fields, to make them aware of their responsibility in regard of the public interest. By ensuring that the thalidomide tragedy is not forgotten, we intend to promote pharmacovigilance to protect unborn children. I am fortunate to be able to rely on a solid and energetic team of assistants and on the dedicated involvement of the TVAC board members, all of them Canadian thalidomiders. My thanks go out to our priceless partners and generous donors whose support made possible the organization of our national events, conferences, services and all our activities. I also want to extend a sincere thanks to our wonderful volunteers and sponsors for the trust you place in us that forever inspires us to keep moving forward. The Thalidomide Victims Association of Canada occupies a singular and well-deserved place in our society. It is definitely here to stay as long as we can maintain the determination to go on and work for the benefit of our unique community and to remind the world at large of the vulnerability of the human condition and the resultant need to protect unborn children. I would even say that, bit by bit, we will go on setting our stamp on history…, in a way only the survivors of thalidomide could manage to do. P.S. I invite you to fill out our survey which will only take a brief moment of your time and will be extremely useful for us.